The twins are obsessed with birthdays. Everytime a party invitation comes home, they immediately begin planning their next party; which isn't until November! They have been back and forth on ideas for this year's party several times. Flipping between having individual parties for the first time, to sleepovers, to bowling trips or indoor playgrounds. 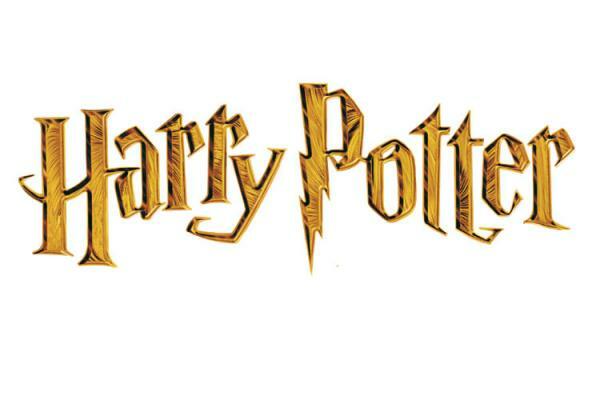 It seems though, with all the Harry Potter hype over the final movie; that they have decided they want a joint, Harry Potter themed, party at home. I am a HUGE Potter fan and have been looking for an excuse to throw the ultimate Harry Potter party! Once it seemed Pretty & Boo had decided that it was actually going to be Harry Potter and stay Harry Potter, I began planning! I think I might actually be MORE excited about the party than they are, at least, for the moment! I want this party to be over-the-top, super awesome, wicked cool, the BEST party EVER! Of course, this meant I had to do my research to find out what others before me have done for their Harry Potter themed parties; and, what I could do differently to make this one stand out from the rest. The first order of business is the invitations! I didn't want to just go to the party store and purchase generic Harry Potter themed invites. How boring. 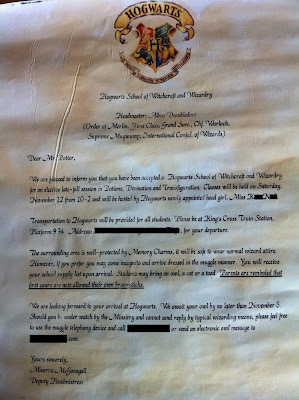 I also didn't want to copy the "Hogwarts acceptance letter" that you can find online. After looking at other's invites and deciding that I didn't like any one by itself; I came up with this! (click the image to make it larger).